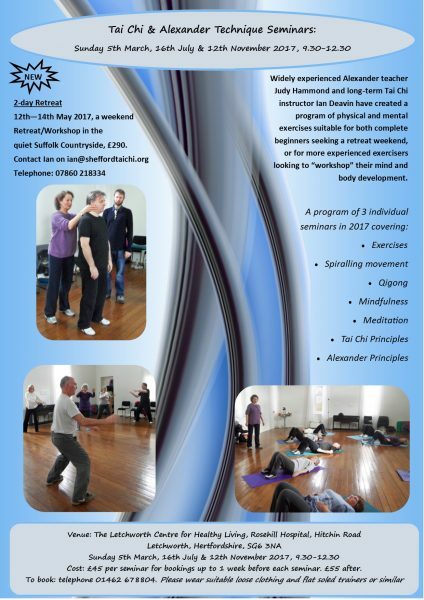 Once again in 2017 I am partnering with my friend and colleague Judy Hammond to present a series of seminars at the Letchworth Centre for Healthy Living. 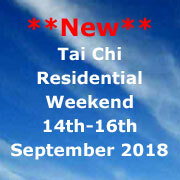 Share the post "Tai Chi and Alexander Technique at Letchworth"
Share the post "Tai Chi and Alexander Technique seminar 13th November"
In a study recently published by the Journal of Alzheimer s Disease, it shows that in a clinical trial, Tai Chi/Taiji was proven that it actually helped seniors to grow their brain size. Improvements also were observed in several neuropsychological measures, which are indicative that the onset of the Alzheimer s disease may be delayed with Tai Chi practice. Share the post "Tai Chi Increases Brain Size and Benefits Cognition in Randomized Controlled Trial of Chinese Elderly"
A good back for a long life! 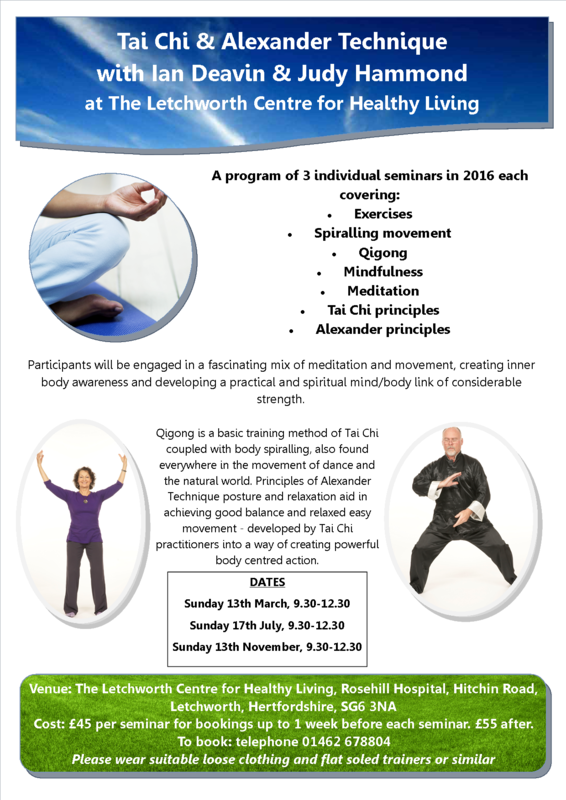 New Tai Chi Classes in Biggleswade!